With over 20 years experience in web development, we are capable of providing the best solutions in the least amount of time. We bill all our web development, web design, SEO, server management, configuration and security work by the hour, rounded to 15 minute increments. We use Freshbooks.com for all invoicing and time tracking. Custom web development is billed at $120/hr CAD maxed out at $960 per day. We may offer discounted rates for clients that provide ongoing work. domain.com needs their phone number updated, but it's listed on 75 different pages and doesn't use an included file. With shell access we can run commands to replace all instances of the old number with the new one. If we don't have shell access then we would open the files locally and run a command to find and replace all the instances. We would also suggest options to allow for easier updating in the future. Template-based small business web sites typically require 10 to 15 pages with a few custom requests from the client. Custom small business web sites typically require 10 to 15 pages with a few custom requests from the client. Wordpress is a very popular platform, we've setup hundreds of wordpress sites. We specialize in custom web applications, if you have an idea that you think is great, we can take your idea and turn it into a beautiful, functional, user-friendly application. Just contact us to discuss your needs. These are estimated values based averages of the work we do. The final cost of our services rendered may be higher or lower. All work is billed hourly or daily. We have a lot of good advice, whether it's how to turn your business completely paperless or how to drastically increase your online sales. We can provide you with the resources and knowledge that will get you there. Contact us today to book a consultation. If we don't do it ourselves, then we know the best people that can. We have a highly skilled team of consultants on standby to take on anything. Contact us today to discuss your needs! Once you have an existing web site (whether we created it or not), you're going to need a team to keep it optimized, secured, backed up and updated. We are often contacted by web site owners that lost contact with their developer or designer and need their property managed. These packages will make Transit Network your web site management team. 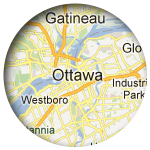 We have high speed linux based servers located in Montreal Canada ready to host our clients web sites. Hosting in Canada is an excellent choice for Canadian web sites and for anyone that doesn't like the laws regarding digital content in the United States. Standard encompasses small business sites with low to moderate resource needs. Professional is for any site that uses a CMS or Ecommerce system, we charge more for these because they require a lot of system resources.